Doing nothing about it or going it alone can be very expensive. At Heritage Accounting & Tax Services, a Fort Lauderdale accounting firm, we provide a wide variety of IRS problem resolution services tailored to meet the needs of our clients. Let us do the negotiating with tax authorities! No organization looks forward to negotiating with taxing authorities Our staff has assisted clients with resolving issues with federal, state, local, and international taxing jurisdictions. Every solution is tailored to the individual client. With a track record in IRS Offers in Compromise and as a seasoned tax professional with an ex-IRS examiner on staff, Heritage Accounting & Tax Services, a Fort Lauderdale accounting firm, understands such problems. 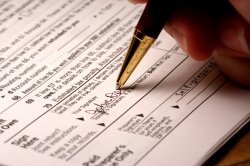 We negotiate directly with the IRS for our clients from all over the United States. We are your best resource - let us help you put an end to your IRS worries! Call our senior accounting manager at 954-797-5060 ext. 213 regarding our IRS problem resolution services.